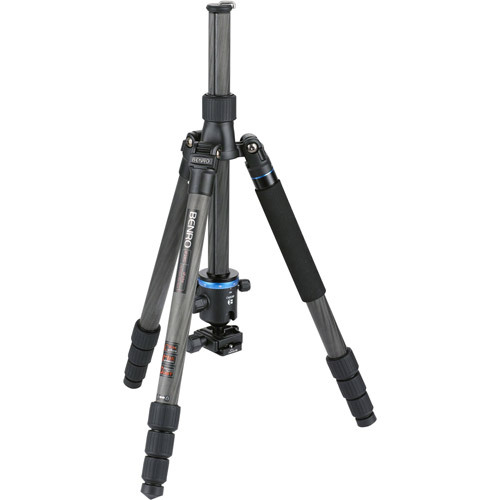 With a max weight capacity of 14 kg, the iFoto series is perfect for the serious photographer looking for a travel size tripod with exceptional performance and the best possible price. 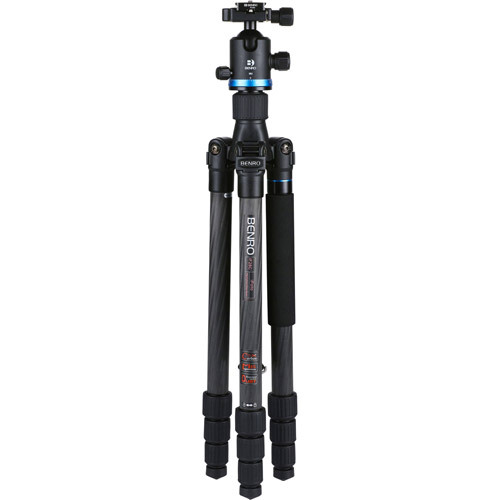 With a maximum weight capacity of 14 kg, the iFoto series is perfect for the serious photographer looking for a travel size tripod with exceptional performance and the best possible price. 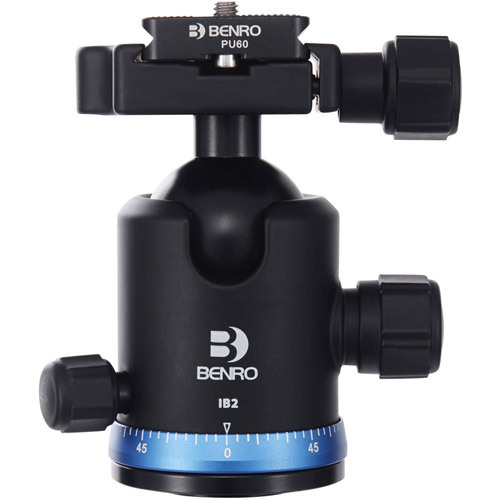 The tripods include the Benro IB2 head which features separate controls to lock panning, apply tension and lock down the head. 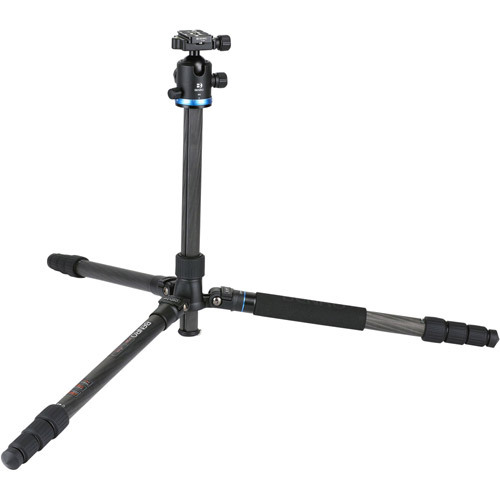 The leg feature twist locks for maximum stability, and include a detachable leg that can be combined with the centre column to create a monopod. 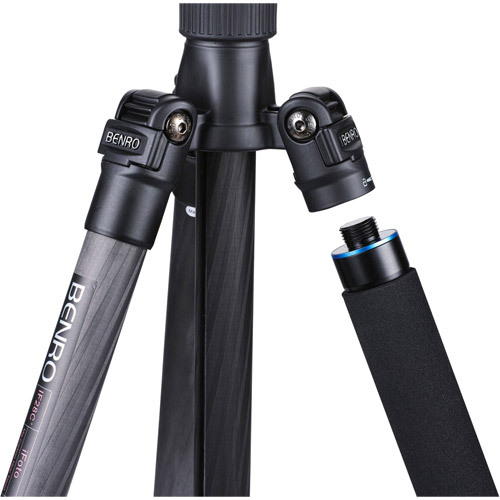 In addition, the tripod legs can be inverted and folded back 180 degrees which cuts the tripod down to a quarter of its existing size making it small enough to fit into your carry-on, shoulder bag or backpack. 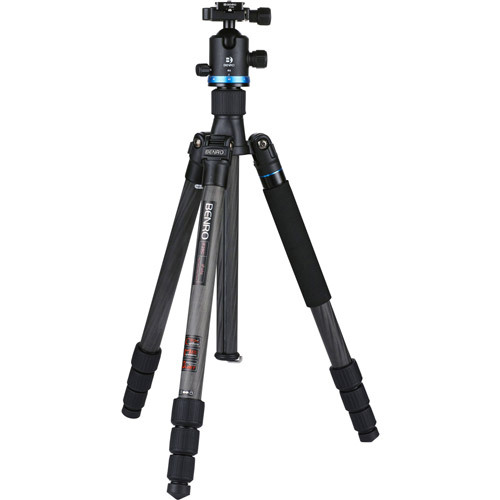 Both models are supplied in a high quality Benro carrying case and a set of spiked feet are included. 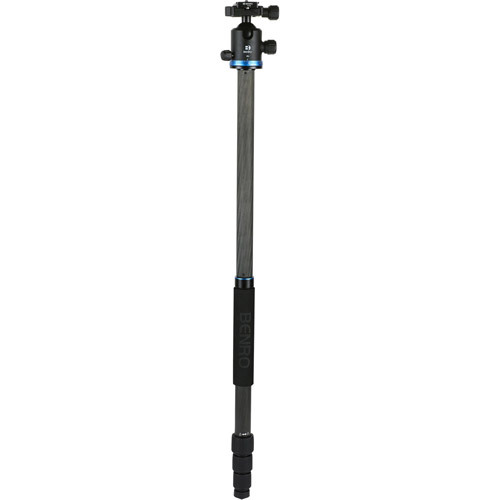 The IB2 Triple Action Ball Head is an Arca-type compatible head with a load capacity of 22 lbs. 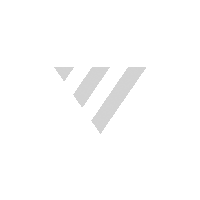 It stands 3.9" high, and weighs 14.5 oz. 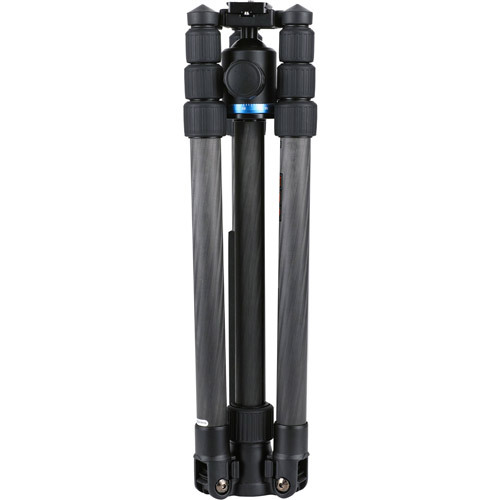 There are separate locks for both the ball movement and the 360° panning motion, as well as a friction control knob. A 90° notch makes it easy to switch to portrait orientation. The numbered scale on the head's base allows for easily repeatable pans, and a bull's eye bubble helps ensure they head is level with the horizon.